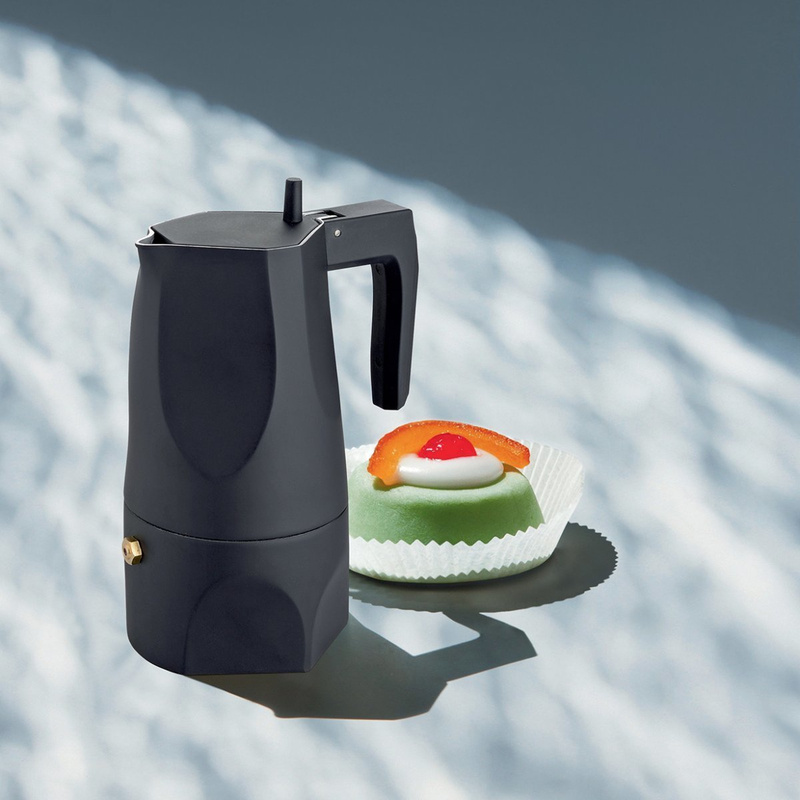 The Ossidiana coffee maker by Alessi is an object of design that allows you to taste with style good coffee. It is a piece of furniture with an essential and modern design and durable material. It is, in fact, entirely made of black aluminum castings. The handle and the knob are made, instead, of thermoplastic resin, so that it does not burn on the stove. The object's capacity is of 15 cl, so it is suitable for 3 cups of coffee. The shape is generally rigid and resembles a rectangle on which there are grooves, depressions in the upper and lower part, which make the design more appealing. These recall the chips on wood and stones done by prehistoric men to make their tools and ensure good grip. The black colour that characterises the Ossidiana coffee maker makes it suitable for any type of kitchen and style. Enjoy a coffee with this piece of furniture, capable to make the moment unique and personal. Serving coffee to your diners bringing to the table this coffee maker, will allow you to create stylish and original atmosphere, where the memories of the old mocha combine with the modern style of a coffee maker. This piece of furniture is made by Alessi, a leader in Italy and around the world in the production of objects of design. Alessi distinguishes itself for the ability to create cutting-edge items, where the captivating aesthetics meets functionality and quality of materials. 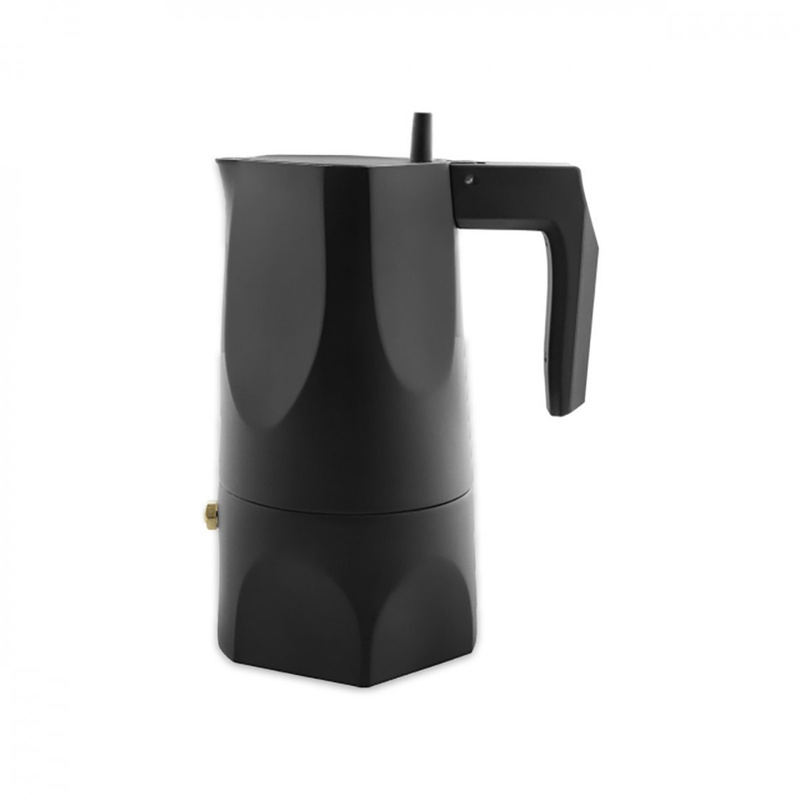 This coffee maker is the creation of the famous designer and Sicilian architect Mario Trimarchi. He was inspired by the mocha and the volcanic obsidian stone, typical of his region. Trimarchi created an object of design in which traditional nature adapts to modern style, producing a timeless decoration. The Ossidiana coffee maker obtained a lot of success and received the XXIV Premio Compasso d'Oro ADI.